This cool modern style collage is made up of great vector elements. Use as it is for a wallpaper, poster or t-shirt or separate for other designs. 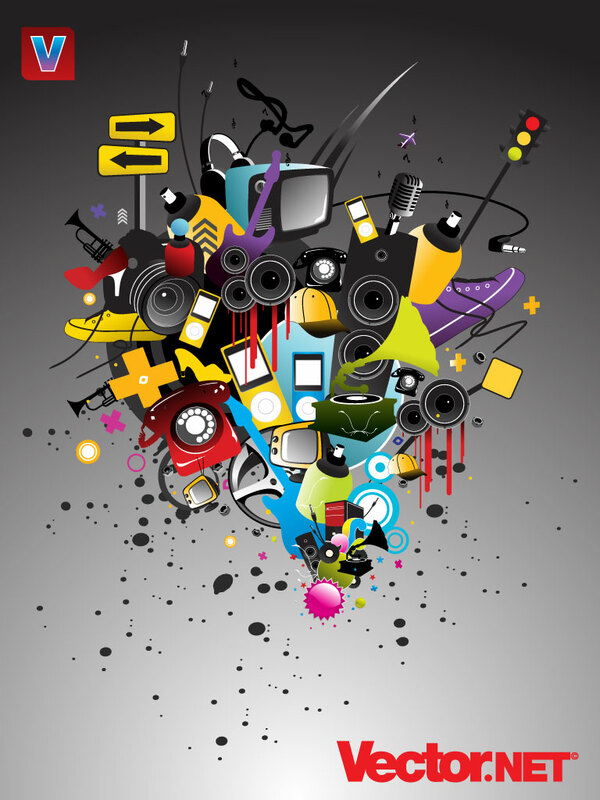 Graphics include; trumpet, car wheel, music speakers, ipod mp3 player, spray can, phone, record player, TV television, headphones, basket trainers and abstract shapes. Tags: Collage, Ipod, Modern, Music Speaker, Phone, Record Player, Technology, Trumpet.